Very perceptive – love the topic and hope to follow through and delete accounts not used. Keep up the great thoughts and ideas. Thanks for writing the article. 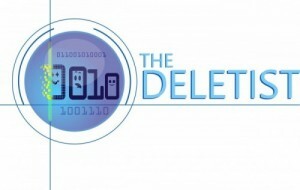 I am the creator of justdelete.me and to answer your question unfortunately we don’t know exactly what is being deleted when you delete your account. We try to look through terms and conditions to see if there is any information about ti there. However we can never be 100% sure that data is being deleted. If we know a company keeps data even after a “deletion” we do try to say that on the site.